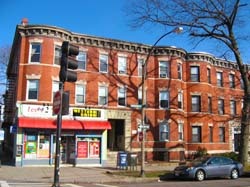 On the north side of Commonwealth Avenue are Fineberg Management properties at 1375 Commonwealth Ave. (13 studio and one-bedroom apartments on three stories); 1377 Commonwealth Ave. (12 units on three floors) and 1381 Commonwealth Ave., with 13 units -- one- and two-bedrooms -- on three floors. The buildings look out on the Boston College streetcar line giving commuters unbeatable convenience. 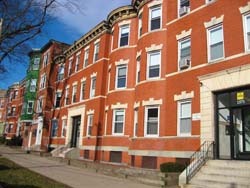 The neighborhood enjoys consumer services, from fine entertainment, dining and ethnic shops.